Then it will provide you with a wealth of fun rhythms and songs for further study. 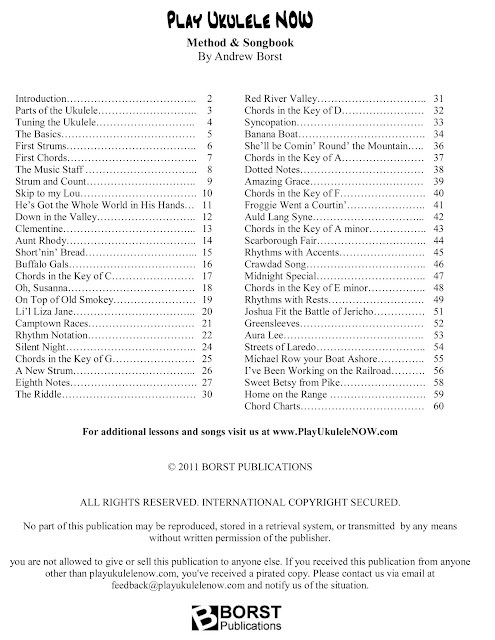 In this book you will find the unique Play Ukulele NOW Key sheets, chord charts and rhythm studies! 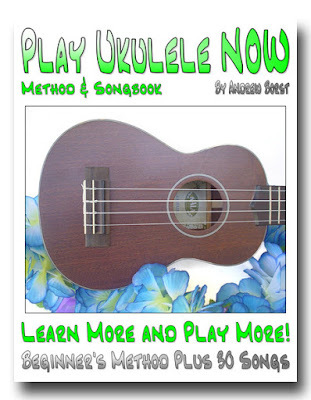 The Play Ukulele NOW key sheets teach chords in groups so that you will have an understanding of which chords work well together and which chords are often played together. Without realizing it you will easily learn basic music theory! 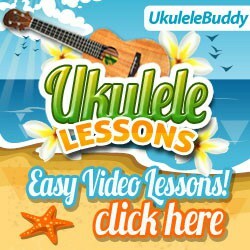 With the unique Play Ukulele NOW Chord Charts you will quickly and easily learn to play chords throughout the neck, using just a few chord forms! The comprehensive rhythm studies you will find in this book will provide you with a wide variety of fun rhythms you can use in many different songs! 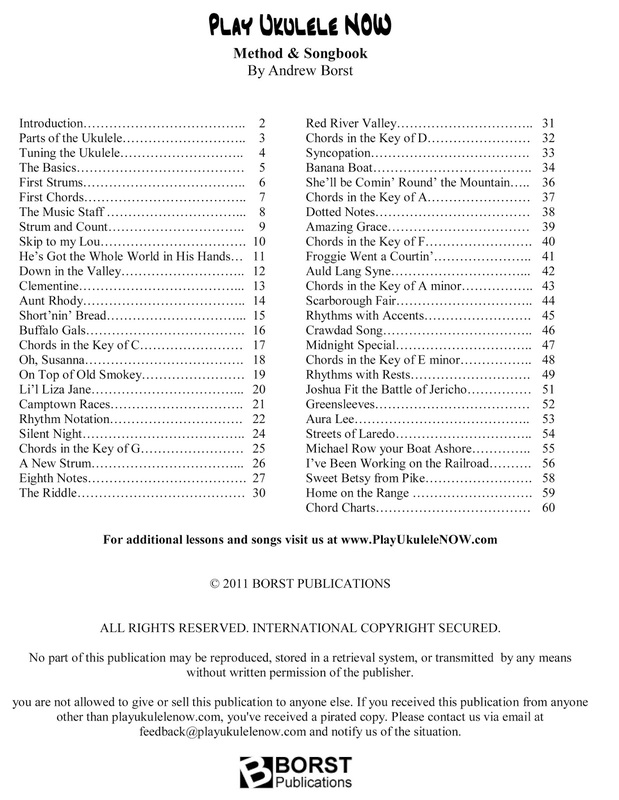 It also Includes 30 Songs especially arranged for this book!